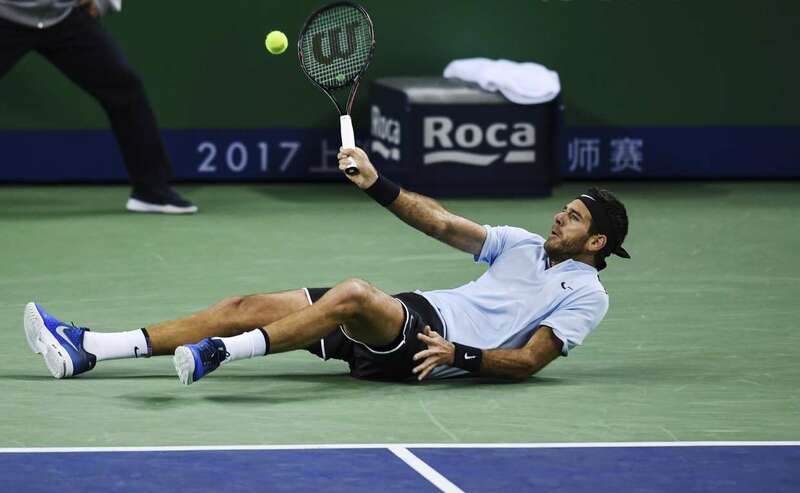 Juan-Martin Del Potro of Argentina slips against Viktor Troicki of Serbia (not pictured) during the Shanghai Rolex Masters on Friday in Shanghai, China. Potro won 4-6, 6-1, 6-4. Hit or miss Juan-Martin Del Potro of Argentina slips against Viktor Troicki of Serbia (not pictured) during the Shanghai Rolex Masters on Friday in Shanghai, China. Potro won 4-6, 6-1, 6-4.